There is a swag code out. It is the one we have been waiting for. Check the swidget. I haven’t been able to figure it out. Good luck!!! UPDATE – I finally found it but it was only worth 10 swagbucks by the time that I found it! The code has expired. Today is Mega Swagbucks Friday – your chance to win a whole lot of swagbucks. You could win as many as 2,000 swagbucks. Wow! The most I have ever won is 50 swagbucks but I have read about a lot of people who have won so much more. So, go ahead and try your luck and see how much you can win today. I also hear that there will be a code on the swidget today that is worth 20 swagbucks – but only to the first 10,000 who find the code. I will post an alert when I know it’s available. Keep checking the swidget below. Go here to print a coupon for a free pint of Benjamin Moore Aura Paint. It is good until June 15th at participating locations. Louisville, KY is included. Yeah! 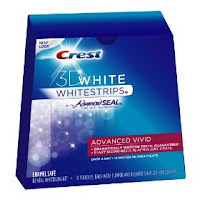 Go here to request a free sample of Crest White Strips. Welcome to the Ultimate Blog Party. This is my first year participating and I am SO excited! Now, for a little about me. I was born in Sydney, Australia (I love the USA but I am an Aussie at heart). I met my husband in Germany when he was serving in the US Army. Fast forward 23 years….. We now have one daughter (21), 3 dogs and 3 cats. We live in Kentucky and I am an 8th grade math teacher and I love to save money. We are in the midst of planning my daughter’s wedding (I can’t believe how much this is costing us). My last Wordless Wednesday post featured 2 photos from the night my daughter got engaged – check them out if you want to see the biggest smile ever! My goal is for my family to become debt free. That’s why I started this blog – to keep myself more accountable. I am hosting a giveaway – $10 CVS Gift Card (just imagine how far you could make that go with coupons, sale prices, and ECBs). Go here to enter the contest. It ends on Friday, April 16th at 5 p.m.
You can follow me on Twitter, Facebook, or Google. So, put your feet up and look around. I hope you come back and visit – and leave me lots of comments. These jeans have be clearanced to $9.60 – down from $48.00. WOW! If you go through ShopAtHome you will save an additional 4% off the price (earned through rebate). If this is your first time shopping through ShopAtHome you will receive an additional $5.00 off (earned through rebate). Use the code FREEAPRIL to save an additional 15%. Shipping is $0.99. All these discounts mean you could score $48.00 jeans for as low as $3.82 ($8.82 if you have used ShopAtHome before). There a lots of other savings – appliances and tools are included. There is a swag code out. Check the blog. It is worth 10 swagbucks and is available until 7:00 p.m. EST. HURRY! What a great way for families to save money without even using a coupon. Visit the Meijer Pharmacy page for more information. Way to go Meijer! If you love saving money at Meijer, you’ll love these additional tools!